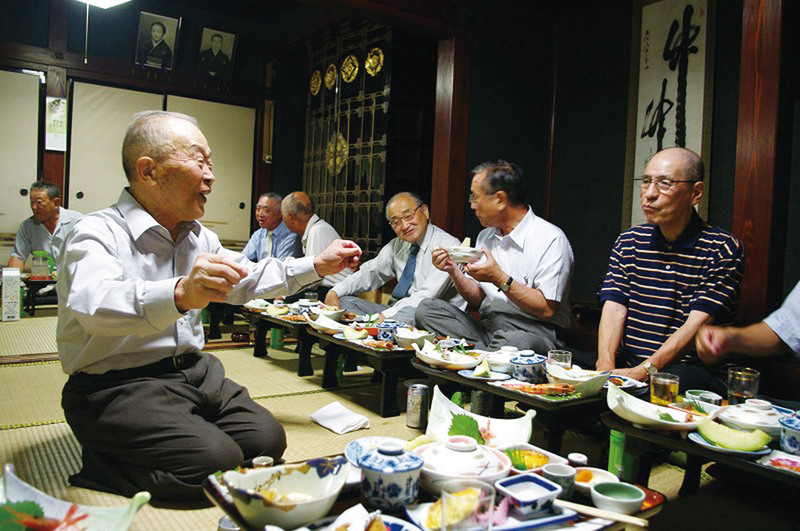 During the kiriko festivals, people invite relatives, friends and people who have helped them in business to their homes and treat them to homemade dishes that have been specially prepared. In recent years the amount of catered food served has increased, but originally all of the dishes served were made in the houses of the hosts. The preparation takes about one year, and begins with the collection of ingredients. Yoko Nakahira and Kazuko Kuninaga, who live in Matsunagi-machi, Suzu City, say, “In spring, we go to the mountains to pick edible wild plants for yobare. We fill our baskets”. They pick a lot of royal ferns and bracken ferns and preserve them for the festival days. Whenever they come across a delicious dish, they find out which ingredients it contains, and how to prepare it. They have a strong desire to to improve their cooking skills. Local dishes made with ingredients from the mountains, sea and fields are served to the guests. The dishes are different in each area. In Noto, dishes are usually served on lacquered small dining tables for individual guests. In the seaside town where the two women live, a lot of dishes are served on small dining tables. 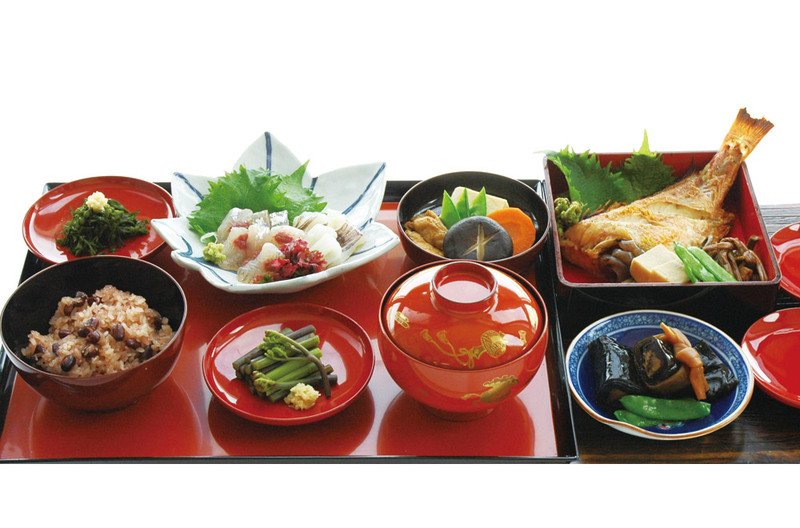 These include red rice and soup, rolled kelp with fish in it, fish with its head, wild edible plants, cooked tofu and sashimi (sliced raw fish) on the first table, and chawanmushi (custard-like egg and vegetable dish steamed in a cup), cooked vegetables cut in decorative shapes, seaweed and kuzu starch noodles on the second table. 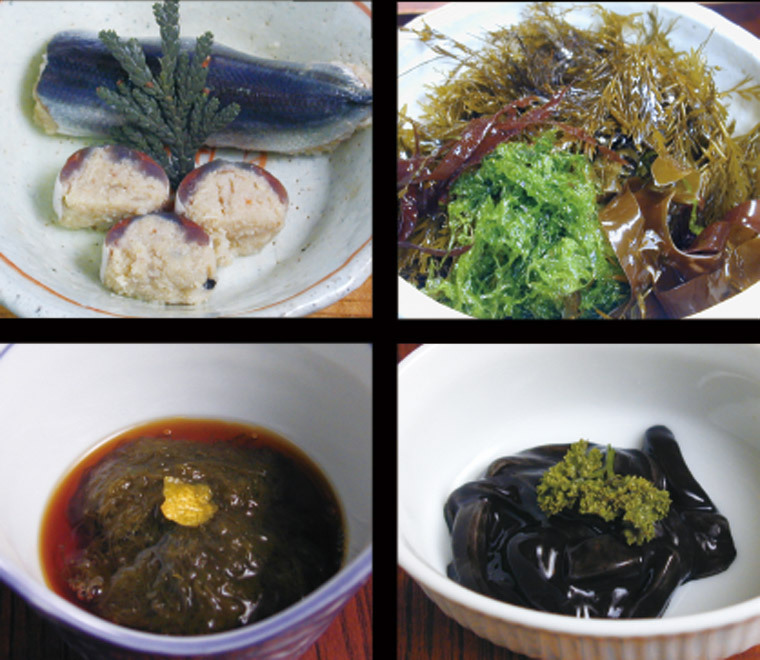 In Misaki-machi, Suzu City, cooked ocellated octopus is served, and in inland areas such as Yanagida, Noto Town, fermented sushi made with river fish such as Japanese dace and sweetfish used to be served. In addition, the dishes are served in a free and easy party style. Alcoholic beverages are also served at the party, and kiriko carriers drink to encourage themselves. Yobare is a distinctive custom that has been preserved all over Noto. Through yobare, relationships and friendships are strengthened. Yoko Nakahira (right) and Kazuko Kuninaga (left). Kuratsuki, Kanazawa City, Ishikawa Prefecture, 920-8580 JAPAN. © Ishikawa Prefecture Tourism League.